The Florida sun is not kind to skin that has spent the fall and winter under the grey Seattle sky. Sometimes even SPF 3 sunscreen your dad brought in an unmarked 3oz container can’t save you (at least he brought some!). 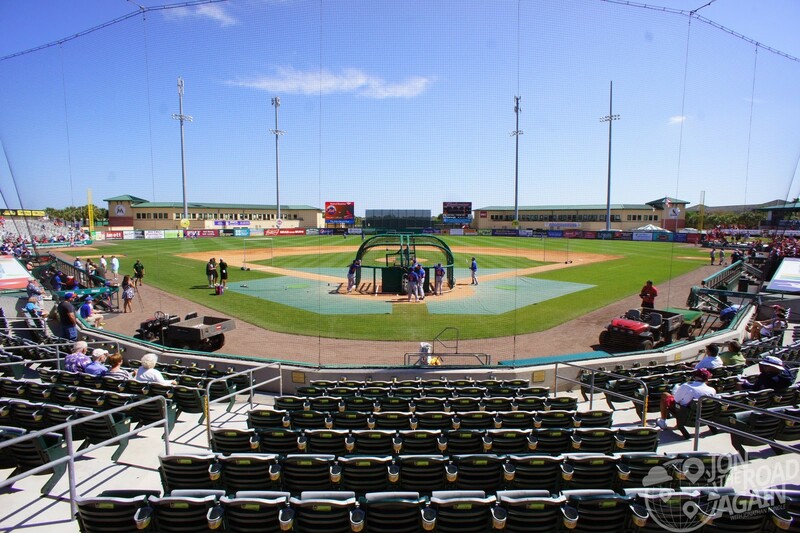 Roger Dean Stadium is one of those lovely ballparks with NO shade in the seating area. Okay, maybe the top four rows in the section directly behind home plate get shade, but everywhere else will be a joy to a Vitamin D seeker – or hell to someone like me. I spent my time imagining ways to mitigate the burn but still watch the game. I covered my already burned knees with cardboard hot dog trays and extended the length of my t-shirt sleeves with napkins. MacGuyver. The park really is lovely and had the best concessions of all the Florida parks I’ve been to. Plus, the Mets won and it’s not every day you get to see that.